This design was submitted for consideration to the Colorado Governor's office in 2004. A perspective aerial view of the state's topography, looking north. 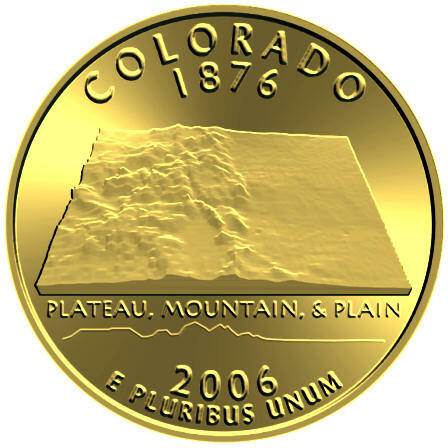 Colorado's three main geographical regions are identified by the legend "Plateau, Mountain, & Plain". Below that is a profile line which represents the state's elevation when traversed from west to east through the three geographic regions.